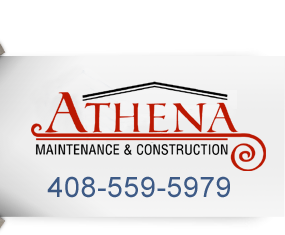 Athena Maintenance and Construction is a licensed and bonded contractor company and offers hourly handyman services as well as larger fixed price bidding; we will tailor a maintenance plan and budget specifically to your needs. Athena Maintenance and Construction can provide a wide array of services in order to keep the highest market value of your property and tenant satisfaction. When you need to find a reliable repairman, Athena Maintenance and Construction has the knowledge and experience to handle all your repairs or upgrades. Arranging a visit from us is simple. With one call or email, we'll set up an appointment and send a qualified repairman who will arrive at your property on time to assess the situation, and be ready to immediately start working on your job. All our employees are fully insured and covered by Workman's Compensation. Our staff is available for emergency repairs nights and weekends. © 2012 Athena Maintenance & Construction. All rights reserved.